Lester Luntz was born on January 17, 1924, in Hartford, Connecticut. 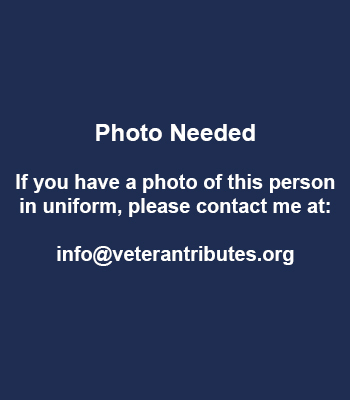 He enlisted in the U.S. Army Reserve on December 8, 1942, and went on active duty beginning June 16, 1943. PFC Luntz attended the U.S. Army Specialized Training Program for Dentistry at the University of Pennsylvania from June 1943 until his honorable discharge from the Army on September 28, 1944, and then continued on with his studies, receiving his degree in Dentistry in 1947. He was commissioned a 2nd Lt in the U.S. Army Dental Corps with the Connecticut Army National Guard on August 1, 1947, and he served as a Dental Officer with the 118th Medical Battalion in the Connecticut Army National Guard at New Haven, Connecticut, from August 1947 until his unit was activated for the Korean War on September 5, 1950. Capt Luntz left active duty on September 10, 1952, and remained with the 118th Medical Battalion of the Connecticut Army National Guard at New Haven from September 1952 to June 1959. His next assignment was as a Medical Platoon Leader with the 2nd Battle Group of the 169th Infantry Regiment of the Connecticut Army National Guard at Manchester, Connecticut, from July 1959 to April 1963, followed by service as a Dental Officer with Headquarters, Connecticut Army National Guard, at Hartford, Connecticut, from May 1963 until his retirement from the Army National Guard on November 1, 1968. During his time with the Connecticut Army National Guard, LTC Luntz participated in the National Pistol Matches at Camp Perry, Ohio, in July 1959, July 1960, and July 1961. 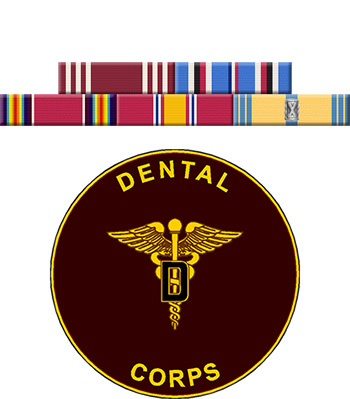 Outside of his National Guard duties, Dr Luntz held the rank of Captain, State Police Surgeon, in Connecticut from 1959 to 1983; he was Director of the Connecticut State Dental Association's Dental Disaster Squad for more than 20 years; he was President of the American Society of Forensic Odontology from 1974 to 1976; and he pioneered work in the field of forensic dentistry, helping to develop modern forensic odontology. During this time he participated in the first court case in which a dental impression linked a suspect with a murder in 1972, he became the first forensic dentist ever to use a search warrant to examine a suspect's mouth for evidence in 1973, and he and his wife Phyllys co-authored the first American textbook for forensic dentistry, "Handbook for Dental Identification: Techniques in Forensic Dentistry", in 1974. Lester Luntz died on February 6, 1996, and was buried at the Fairview Cemetery in West Hartford, Connecticut.